This piece is constructed of hand painted, commercially dyed fabric. The rocks are raw edge fused and appliqued. 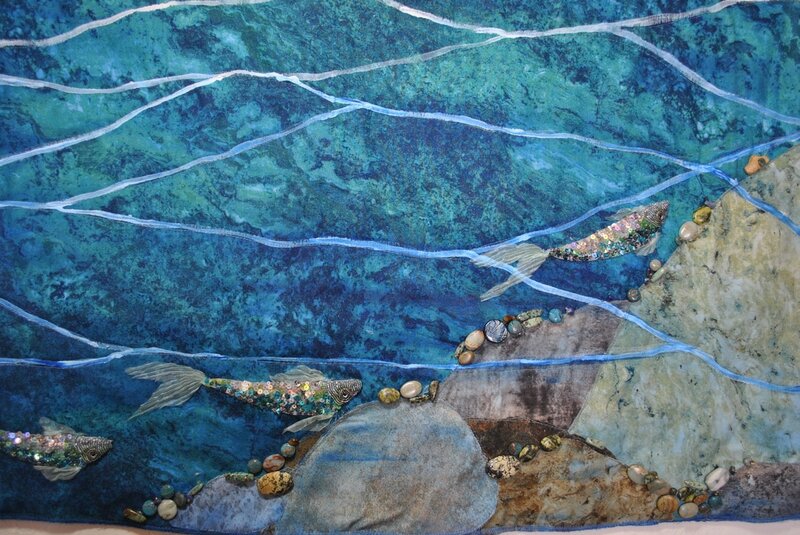 It is hand beaded with rocks, beads, crystals, and mica chips. 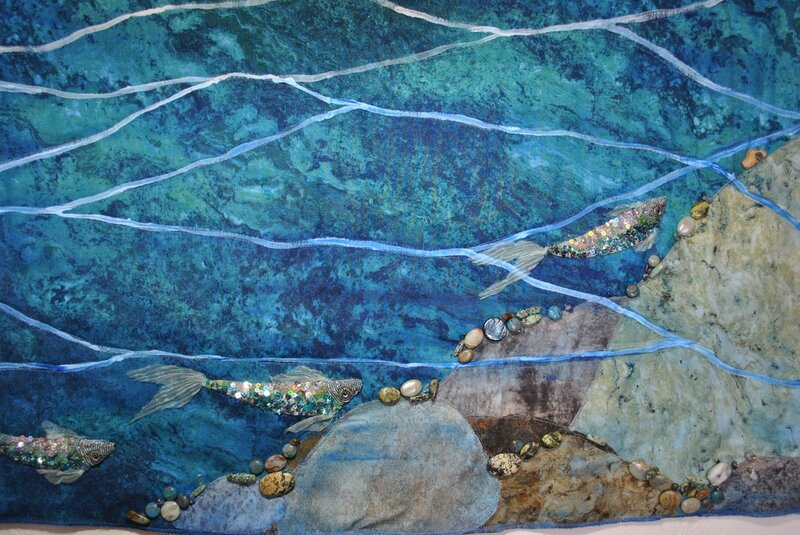 The fish are hand beaded with beads, sequins, embroidery, manipulated hand dyed chiffon, and feathers.